Robert Jacobs is now 70. Looking back over his unique life, he wanted to tell the story of his spiritual search. He hoped that aspiring seekers could see that it is indeed possible to have a profound experience of the divine within. The result is his book “Journey to the Awakened Heart” (published by Balboa Press). The book shares how Jacobs’ search took him through Europe, Africa and Asia in the 1970s until he encountered an Indian spiritual master. It was his teacher Guruji who was able to offer him the inner knowledge that he sought. After living a monastic life in meditation ashrams for over 15 years, he recounts how his desire to serve surprisingly evolved into a worldly life as a husband, father and immigration lawyer. It was in this context that his innate spirituality was to fully bloom. “Journey to the Awakened Heart” aims to make readers realize that “we are all on a spiritual path to experience the divine within. 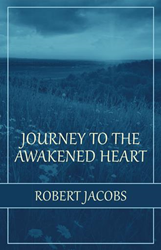 It is the destiny of all human beings to have this experience.” For more details about the book, please visit https://www.amazon.com/Journey-Awakened-Heart-Robert-Jacobs/dp/1982215569. Robert Jacobs is an immigration lawyer who earned his Juris Doctor degree from the University of Florida Law School in 1996. He has enjoyed a life of adventures in India, Morocco, Paris, Brazil and elsewhere. Jacobs spent 15 years studying meditation and yoga under two renowned spiritual teachers from India before finding his calling as a husband, father and immigration lawyer. Originally from Pennsylvania, he currently lives in Gainesville, Florida, with his wife of more than 24 years.